Train services will not be stopping at some stations. There will be no Southeastern services at Charring Cross, Waterloo, Waterloo East, Cannon Street or London Bridge stations until August 29. Instead, trains will be diverted to Victoria, Blackfriars and New Cross. Meanwhile buses will replace trains at Deptford, Greenwich, Maze Hill and Westcombe Park stations. From August 29 to September 1, there will be no Southeastern services at Cannon Street, with trains instead diverted to Victoria, Blackfriars and New Cross. Buses will replace trains at Deptford, Greenwich, Maze Hill and Westcombe Park stations. The disruption is due to the continuing Thameslink programme work, which will see the new concourse at London Bridge open on August 29. A report full of the transport experiences of hundreds of wheelchair users has been delivered to a cross party group of MPs. Londoners are being warned to expect transport delays over the Easter break, with roads jammed and some rail services shut down. 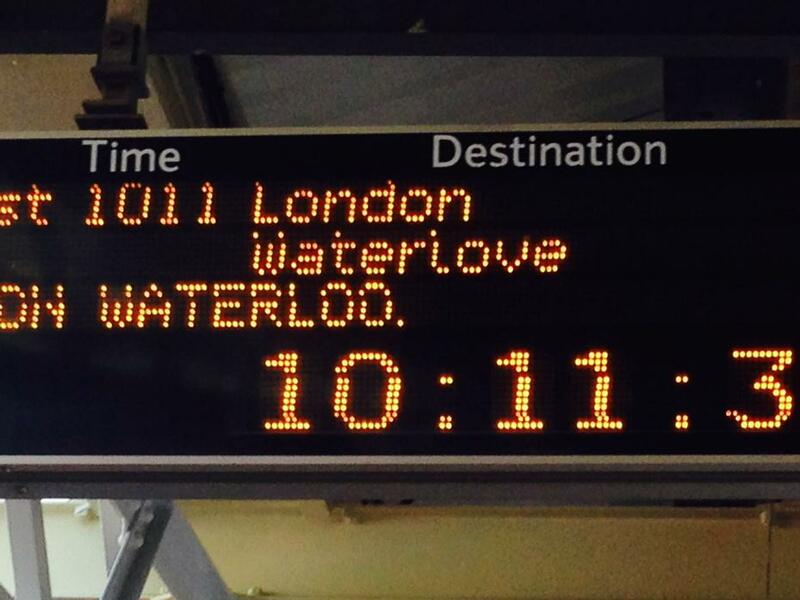 Anyone for London Waterlove? Or how about Cupid Junction? Passengers in London have been spotting some strange stations popping up on departure boards today - all in the name of getting into the Valentines spirit. 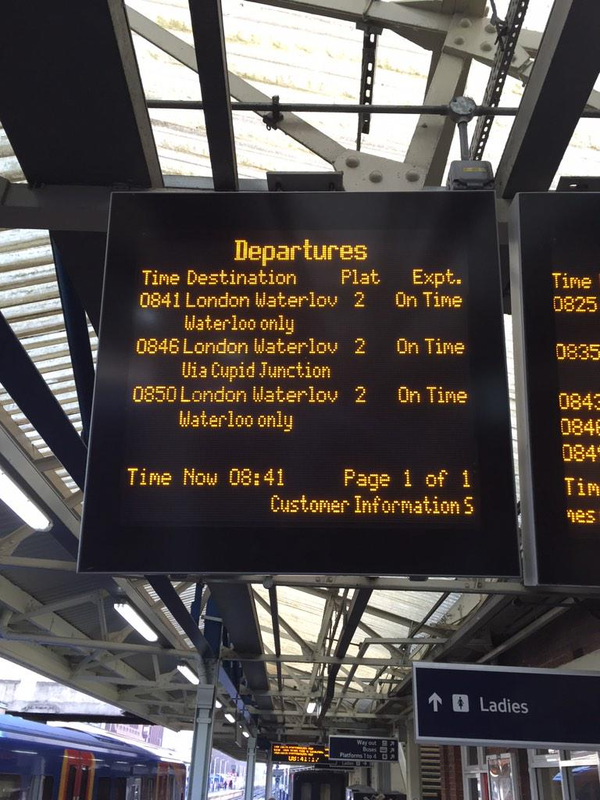 London Waterloo has been given the more romantic title of London Waterloo, while Clapham Junction becomes Cupid Junction for the day. A second day of diversions will be in place on the M20 this morning due to problems at the Channel Tunnel. Non-freight traffic travelling in the direction of Folkestone and Dover will be diverted onto the A20 from Junction 8 (Hollingbourne) and rejoin the motorway at Junction 9 (Ashford West). This allows backed-up freight traffic to park on the coast-bound carriageway. Kent Police say drivers should leave more time or find alternative routes as 'Operation Stack' continues. Operation Stack is where parts of the M20 are used to queue lorries travelling towards the continent, to avoid causing gridlock across Kent's road network. It is introduced as an emergency measure.